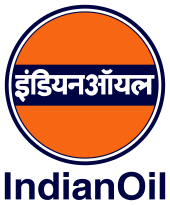 IOCL Paradip Refinery Recruitment 2016- 34 Trade ,Technician Apprentices Posts: Indian Oil Corporation Limited (IOCL), Paradip Refinery invites applications for the recruitment of 34 Trade Apprentice and Technician Apprentice vacancies in Chemical/ Electrical/ Instrumentation disciplines for Iocl Paradip Refinery. Age limit,education qualification and other details are mentioned below. Educational Qualifications: Minimum 50% marks (45% for SC/ST candidates) in aggregate. 1. Trade Apprentice/ Attendant Operator - 3 years Full-Time B.Sc. (Physics, Maths, Chemistry/ Industrial Chemistry). 2. Technician Apprentice - 3 years Full-Time Diploma in relevant discipline. Minimum 18 years and maximum 24 years as on 31.08.2016 (Relaxable by 5 years for SC/ST, 3 years for OBC (NCL), for the seats reserved for them). How to Apply: Candidates may apply on-line from 26.09.2016 to 20.10.2016. Last date of receipt of printout of online application form alongwith supporting documents: 31.10.2016.